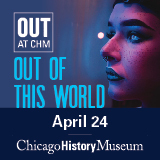 Visitors to Chicago have a new guide to help navigate LGBTQ and mainstream events and places to see: The OUT! 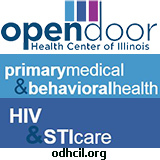 Guide: Chicago's LGBTQ Visitor's Guide is now available. The 124-page guide, published by Windy City Times, includes a section on things to do outside of the city, from the Shawnee National Forest to Starved Rock State Park and Springfield. The rest of the guide focuses on Chicago and its suburbs, with hundreds of attractions, museums, art galleries, architectural locations, theaters, dance companies, restaurants, music venues, LGBT clubs and parties, sports leagues, bookstores, events and more listed. There's also a quick reference to travel and accommodations, and a guide to the city's many neighborhoods. 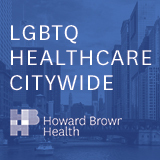 While a lot of the LGBTQ community is concentrated on the city's North Side, especially in Boystown, Lakeview and Andersonville, the guide is careful to provide things to do across the city and suburbs, from Pullman, Little Village, Bridgeport and Hyde Park to Humboldt Park, Oak Park and Evanston. And the traditional downtown tourist attractions are also included, such as Millennium Park, the Art Institute and Navy Pier. The guide will be distributed throughout Illinois and in neighboring states, and is available as a free download on the Windy City Times website. 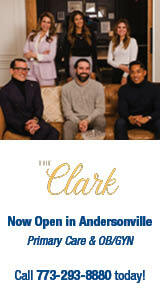 View the low-res version at the link: www.windycitymediagroup.com/pdf/outchicagolgbtqvisitorguide_low.pdf . View the high-res version at the link: www.windycitymediagroup.com/pdf/outchicagolgbtqvisitorguide_hi.pdf . U.S. visitors can also request a free copy to be mailed to them, on a limited basis, by emailing editor@windycitymediagroup.com with the full name and mailing address for the copy to be mailed.